Widely regarded as the best small zoo in Europe, the award-winning Drusillas Park in East Sussex offers a fun finding-out day out for all the family. With over one hundred different animal species, there is plenty to enthral every visitor -young or old! Come and see some amazing animals, from meerkats to sloths, to penguins,lemurs, monkeys and more. Don’t miss out on the amazing walk-through enclosures; get nose to nose with a curious group of ring-tailed lemurs in Lemurland, then grab a nectar pot and feed the friendly flock of rainbows lorikeets in Lory Landing. Animal nuts will also love exploring the bat cave and spotting all the new faces along the zoo route, including Oli and Diego the giant anteaters and the lovable sloths Flash and Gordon. However, animals are only half the fun! Kids will adore all the themed adventure play areas. 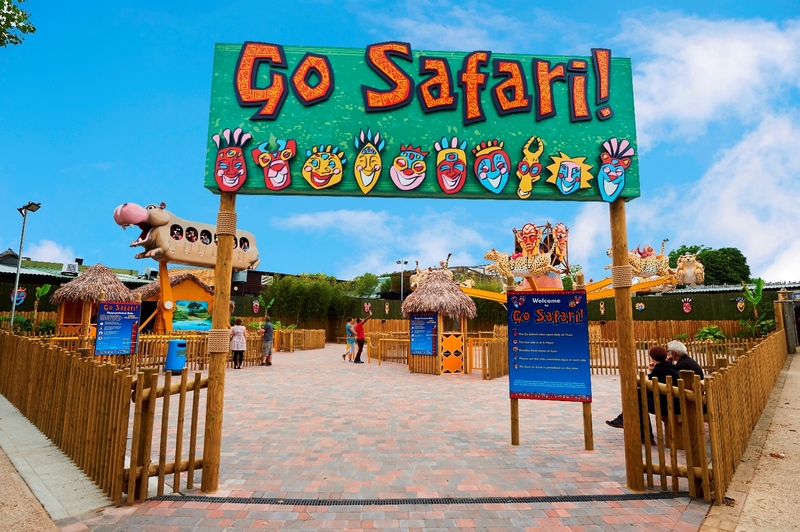 Watch as your little ones make like a monkey and swing, jump and climb across Go Wild!, Go Bananas! and Amazon Adventure. Plus don’t forget to take a detour through the Hello Kitty Secret Garden! There’s even a chance to grab your swimming costume and splash about on the Get Wet! splash pad. the back of a Flying Cheetah or journey deep into the heart of the zoo aboard the Safari Express train.